Kidorable has taken the idea of the humble umbrella and transformed it into an imagination tent. We are proud to offer the most popular assortment of whimsical umbrellas ever created. 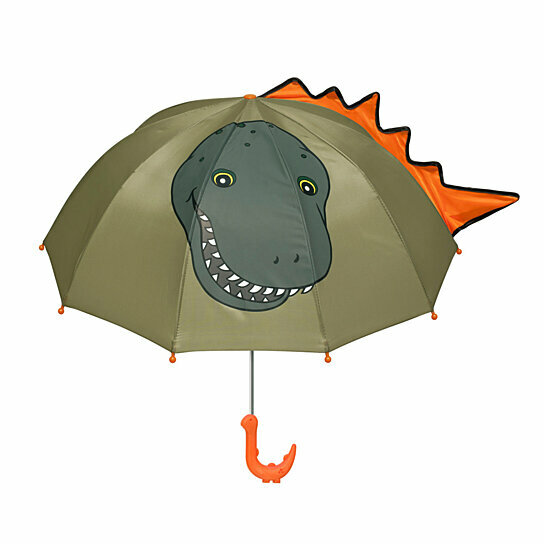 This umbrella even has a fun dinosaur shaped handle. Made of 100% nylon, Kidorable umbrellas are child-sized for those little hands. For all season fun, we've got it covered. Measures 24" long and 27" diameter open. Kidorable umbrellas are child-sized for those little hands.